This summer, Penn’s Landing is providing more opportunities to enjoy fireworks than ever before! 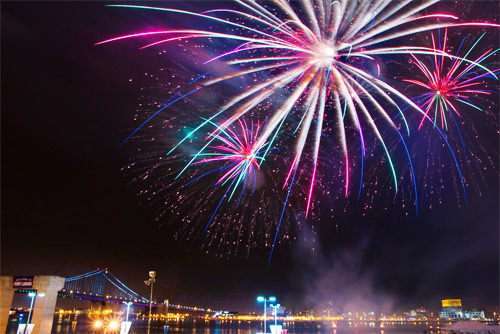 Watching fireworks dance over the river is a great way to cap off or kick off an evening at Penn’s Landing, or after dining in one of the many restaurants located in the waterfront area. Penn’s Landing is the perfect place to spend a summer evening. It all kicks off this Saturday, June 30th. 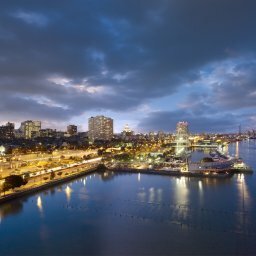 Join other Dockside residents for an evening of sultry jazz performances from highly acclaimed jazz violinist REGINA CARTER and special guest GERALD VEASLEY. 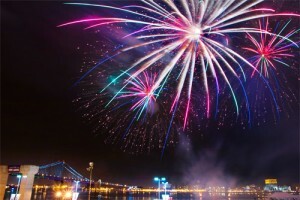 The entertainment will be followed by a grand finale of fireworks, sponsored by Adventure Aquarium, at 9:30 p.m., that will illuminate the sky over the Delaware River. The show will be complemented by a musical soundtrack created by Ahmir “Questlove” Thompson of Philadelphia’s house band, THE ROOTS. For more information and event details, please call (215) 922-2FUN or visit www.delawareriverevents.com .